Over the last couple of years, a very large group of electrum coins has passed through auctions held both in Europe and the United States. Consisting primarily of electrum hektes from the mints of Phokaia and Mytilene, this group also included a large number of staters and hektes from the mint of Kyzikos. The whole group is very unusual. It is extremely large, involving over a thousand coins and with a great deal of duplication suggesting a hoard. However, the date range is from about 620 B.C. to about 322 B.C., which would be far more consistent with a collection. 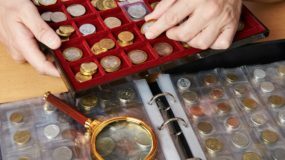 It would seem then that the group consisted both of coins acquired individually as well as coins acquired from a number of hoards. 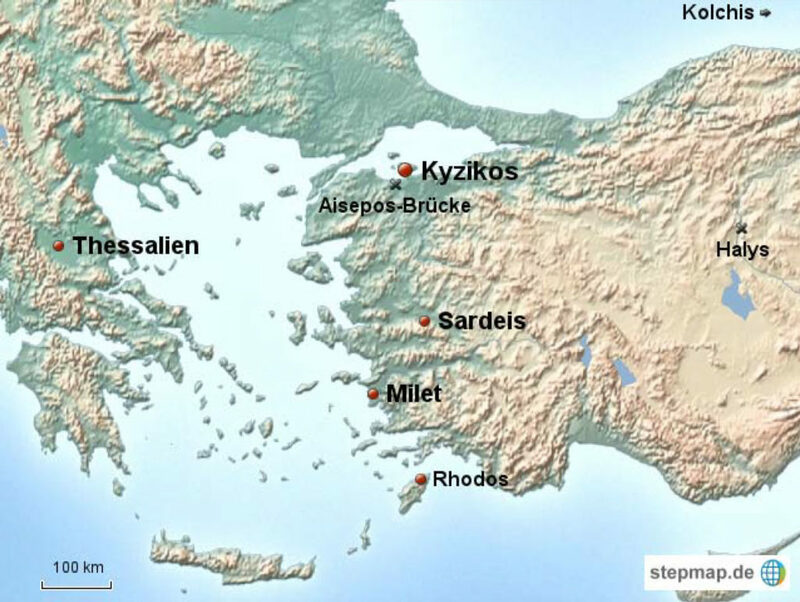 The city of Kyzikos was located on the Sea of Marmara, an important link between the Aegean Sea and Black Sea. At one time it might have actually been situated on an island but at some point “in historic times” the island was joined to the mainland by a causeway. This was either man made or caused by an earthquake. Its position on the Hellespont, an easily defendable position, as well as its large sheltered harbour, gave it an advantage. The hektes of Phokaia and Mytilene were indeed very numerous, with roughly 230 issues spanning about 300 years. It is likely that this coinage was issued annually and that coin production was shared by the two mints. As for Kyzikos, at least 240 obverse types are known for its staters. Since the coinage seems to have lasted from circa 550 B.C. to sometime around 330 B.C., we are left with rather more obverse types than the number of years. However, the practices at the mint of Rome during the Republic does offer, at least, a partial solution. The Rome mint at that time was controlled by three magistrates. Depending on the need for coinage, sometimes none, often one, but on occasion, two or more had coins minted in their name during that year. This may have also been the case at Kyzikos where the principal denominations were the stater, which weighed around 16.4 grams, and a hekte, which was a sixth of a stater. Unlike the stater, which seems to have found acceptance from Athens in the west to the northern shores of the Black Sea, the hekte seems to have had a restricted area of use. The Kyzikos hektes, along with those from Phokaia and Mytilene, seem to have served as the fractional coinage for both the staters of Kyzikos as well as the Persian Daric, a pure gold coin of about 8.4 grams which is usually thought to have been minted in Sardis. 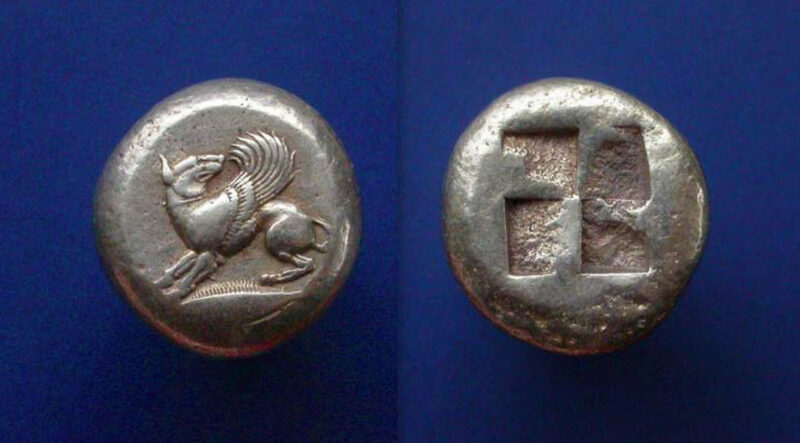 Both the Daric and the Athenian Owl had designs which were essentially unchanged over many decades and even centuries, but the Kyzikos stater employed a wide variety of types. However, unlike the Owl, the Kyzikene, as the stater was called, was anepigraphic, that is, without an inscription, though most had a small tunny fish badge within the design. 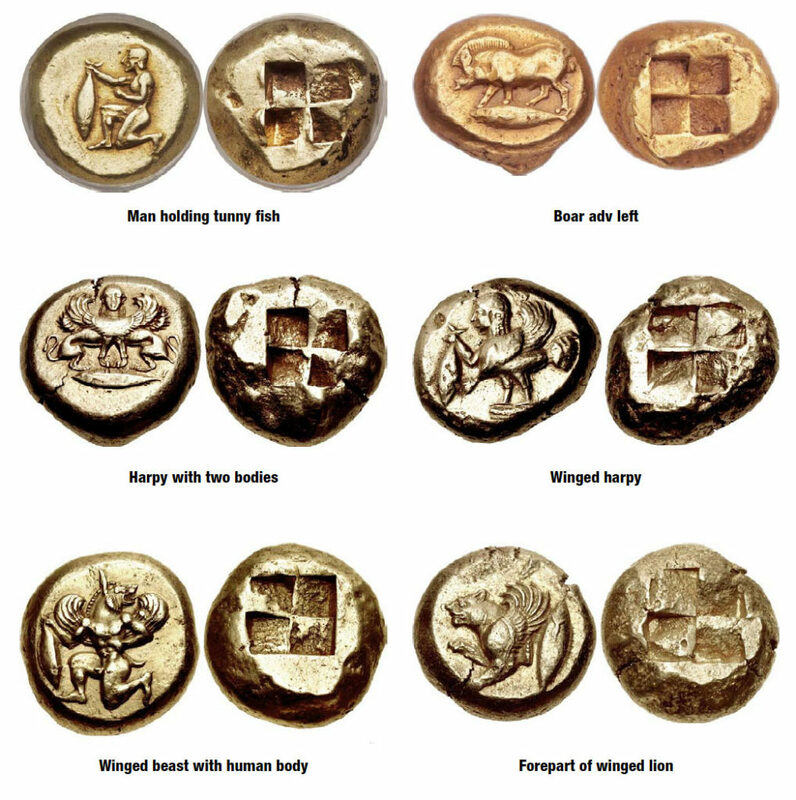 Many of the over 240 individual Kyzikos stater obverse designs could be considered to be mythological beings. These include the harpy, which is a large predatory bird with a woman’s head, numerous winged lions, boars, bulls and many other creatures. There are some that defy belief, such as creatures with a griffin’s head, wings and a human body, as well as a dolphin headed human. Some people should really lay off the fermented grape juice. My coin is of a winged dog, facing left with his head turned back. His tail is down between his legs, and his back is arched as if getting ready to fly. There is no known reference to a winged canine in Greek mythology. However, there are many creatures featured on the coins of Kyzikos which are otherwise unknown. They could represent monsters whose stories were told in very localized areas within the sphere of where these coins were accepted. The archaic incuse quadripartite square punch was employed on the reverse for the duration of the series. A note needs to be added about electrum. In the beginning, electrum was a natural amalgam of gold and silver. However, it would seem that fairly quickly the blend became man made. Earlier electum coinages had a somewhat higher gold content, however sometime in the middle of the sixth century this appears to have changed. It is likely to have been a reflection of an alteration in the value of gold in relationship to silver. The early staters had about 10.9 grams of gold, however sometime just after 560 B.C., this standard was reduced to 8.6 grams. That the system survived for over four hundred years seems incredible, because essentially there was no easy way to determine the relative weight of the more valuable gold with that of the less valuable silver. What is puzzling as well is the almost universal acceptance of this coinage. There are no instances of test cuts or countermarking known on these coins. They seem to have been acceptable, despite some of them being paler than others which would denote a lesser gold content. It would seem that the Kyzikene was roughly the equivalent value of a Persian Daric, a gold coin of roughly 8.4 grams, although the Kyzikene was nominally a coin of approximately 16.4 grams, close to double the Daric’s weight. As silver was roughly a twelfth of the value of gold, this would mean that the Kyzikene was slightly less than 50% gold, perhaps 45% to 48%, similar to contemporary electrum coins from Phokaia and Mytilene. The darker gold color of some of the ostensibly pale electrum coins is puzzling. It is possible that a form of surface enrichment or depletion gilding may have been used on the flans prior to the coin being struck. This is a well known ancient technique which could account for some darker tones. Any such enriched layer would have been extremely fragile and would wear off at the high points. One should note that Kyzikos was an important and wealthy city state, but it was not the capital city of a large and powerful empire. So it could not exercise external power to compel states or individuals to accept its coins, other than the perceived value of the coins themselves. One feature that may have helped in their acceptance is their weight. They feel very heavy relative to their size. This must have inspired confidence. The other factor might be that the coin was accepted in the major grain growing regions in what is now southern Russia, near the Black Sea. One of the lesser known problems facing the governments of most of the cities in Greece, was that of feeding their population. This was particularly acute in Athens which had a permanent shortfall in basic foodstuffs. If the merchants of southern Russia liked the Kyzikos electrum staters, then these coins would be acceptable in Athens as well and could be an acceptable means of storing wealth. 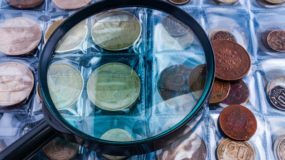 In the end, it might be simply that these coins had a good, long standing reputation. They were a large, heavy gold-type issue in an era when gold coins were scarce. It is not known why the Kyzikos coinage ended. During the reign of Philip II, the city fell into the orbit of the Macedonian Kingdom. In 336 B.C. Memnon of Rhodes, a general in the service of the King of Persia, nearly captured the city. Though he failed, he did lay waste to the territory under its control. It is possible that this act hurt the economy of the city which may have led to the cessation of electrum coinage in Kyzikos, as well as in Phokaia and Mytilene. However, it is far more likely that the flood of gold staters first minted by Philip II of Macedon and then his son Alexander literally drove out every other gold or electrum coin in circulation. 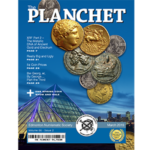 Any chance at a resurgence was thwarted by the even larger issues struck after their deaths Even the mighty gold Daric, was substantially discounted, its value reduced by an eighth against the Athenian tetradrachm.